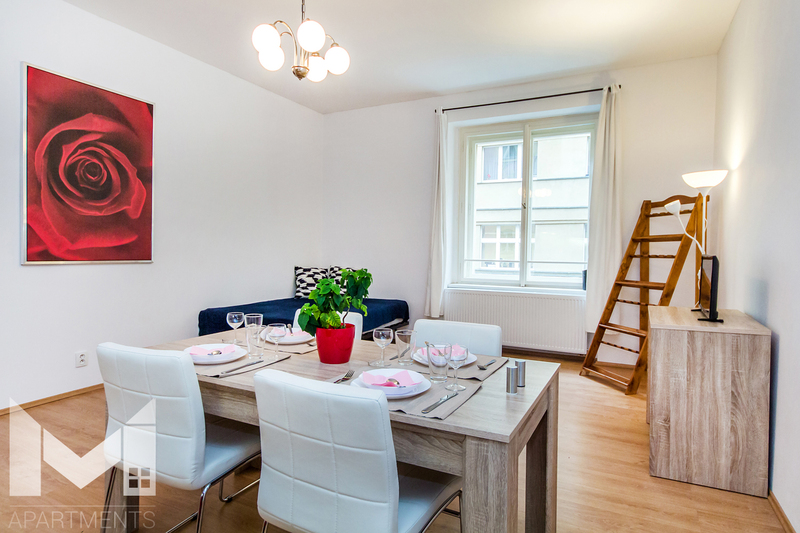 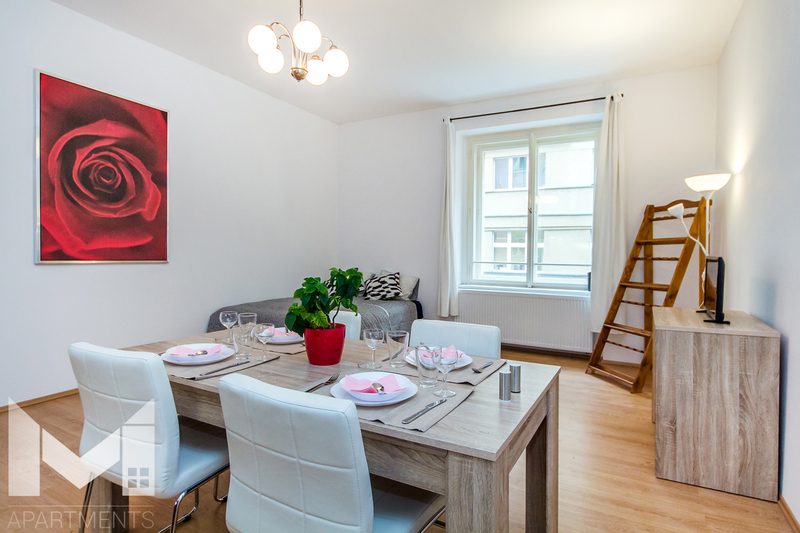 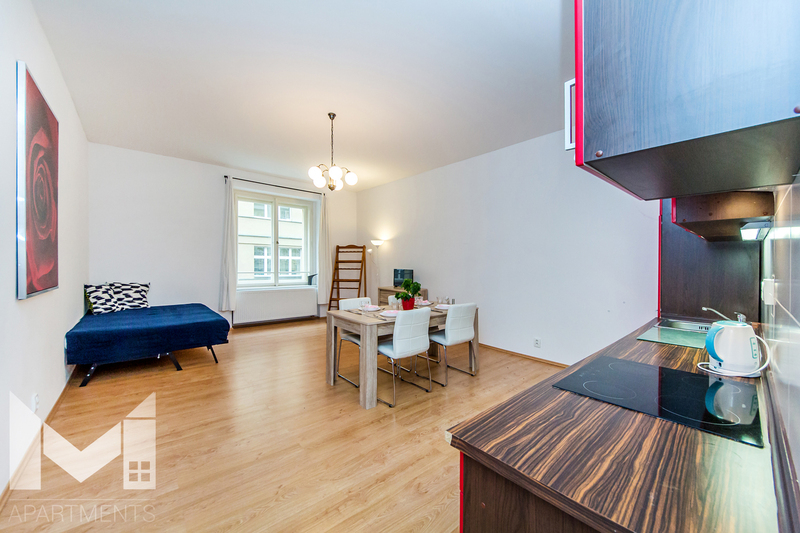 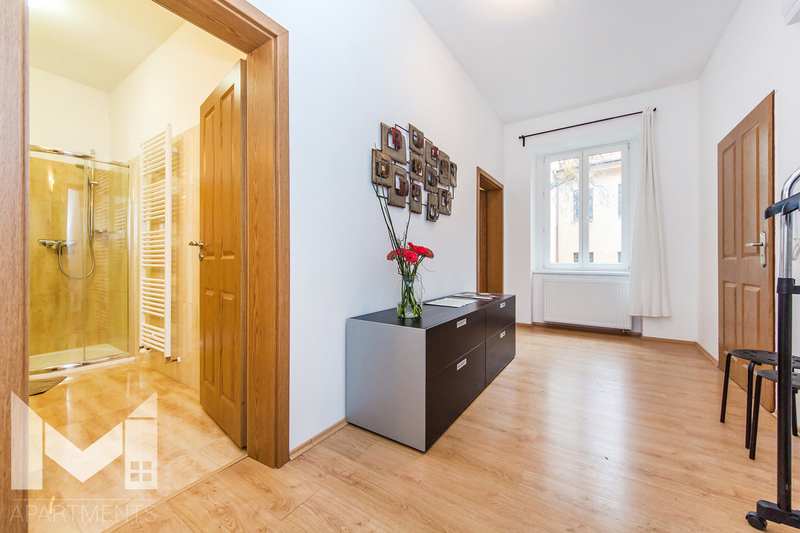 Very cosy, comfortable Apartment in the real Prague city center just a short walk from the Old Town Square, Wenceslav Square and the famous street Dlouhá full of bars, restaurants and music clubs. 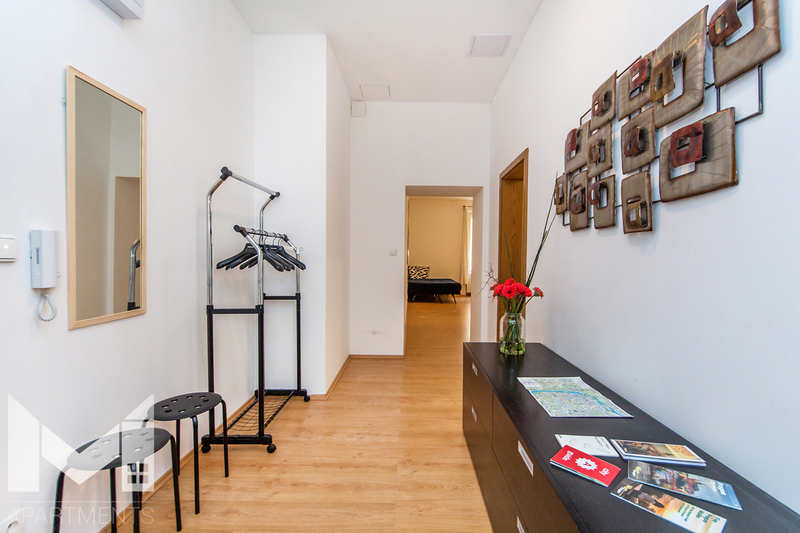 The Apartment is newly renovated and fully furnished suitable for 4 people or family with children. 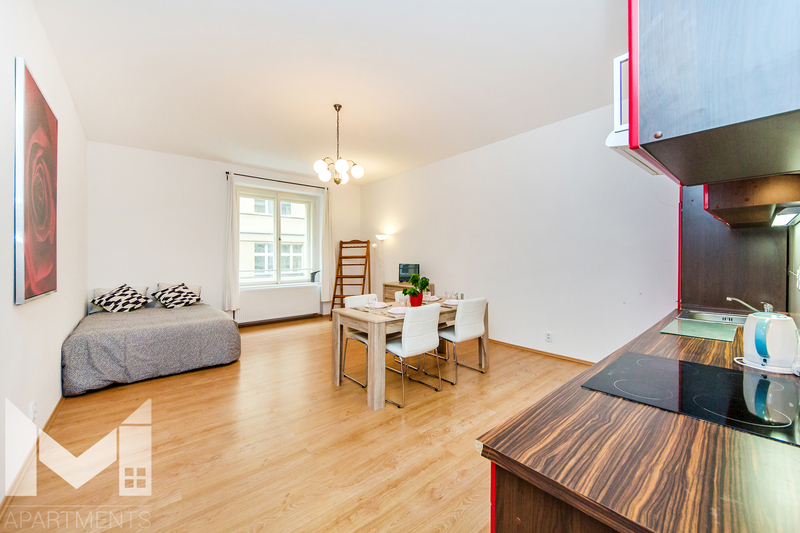 It is in walking distance to all important monuments. 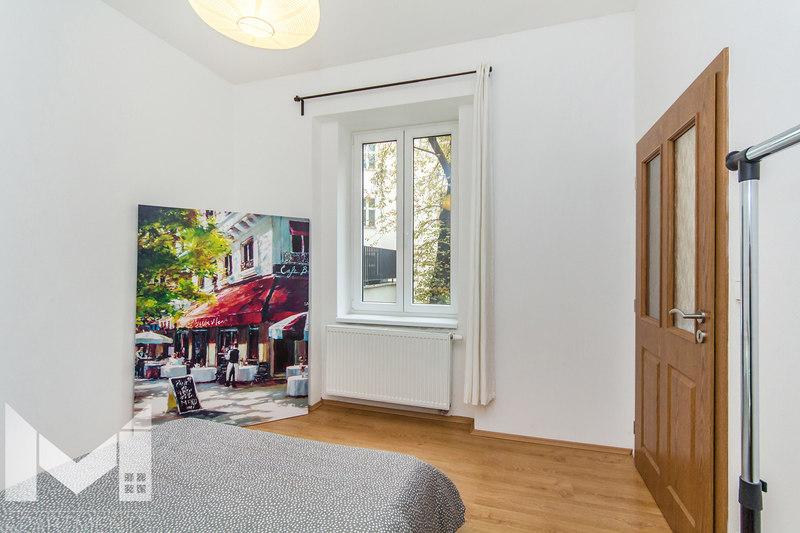 You have all the beauty of Prague close and you don´t need to spent any money for the public transport. 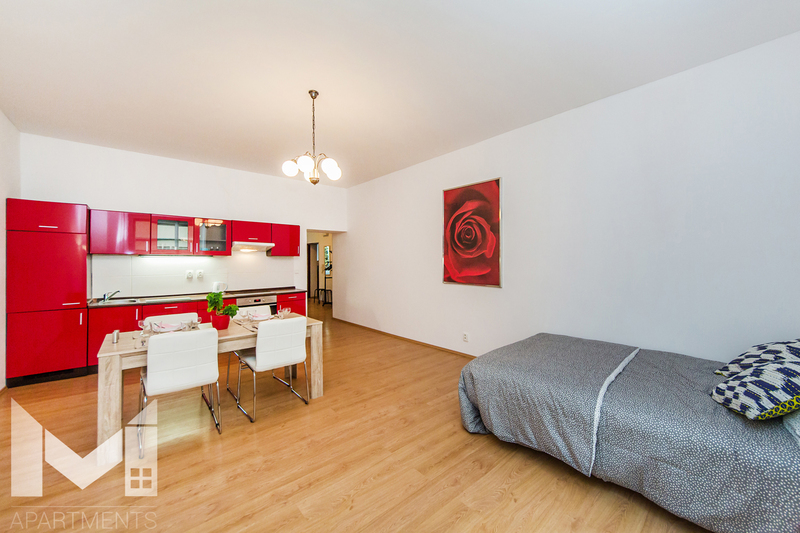 It is located on the 1st floor in a quiet street 2 minutes from the big shopping center. 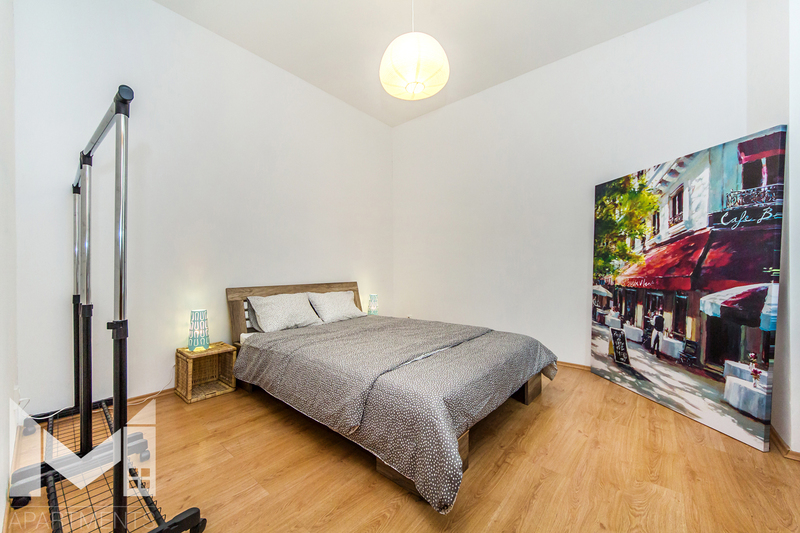 There is a bedroom with a comfortable double bed, sitting area with TV, large folding sofa, spacious kitchen with all needed equipments, cooking utensils, an owen and a watter kettle. 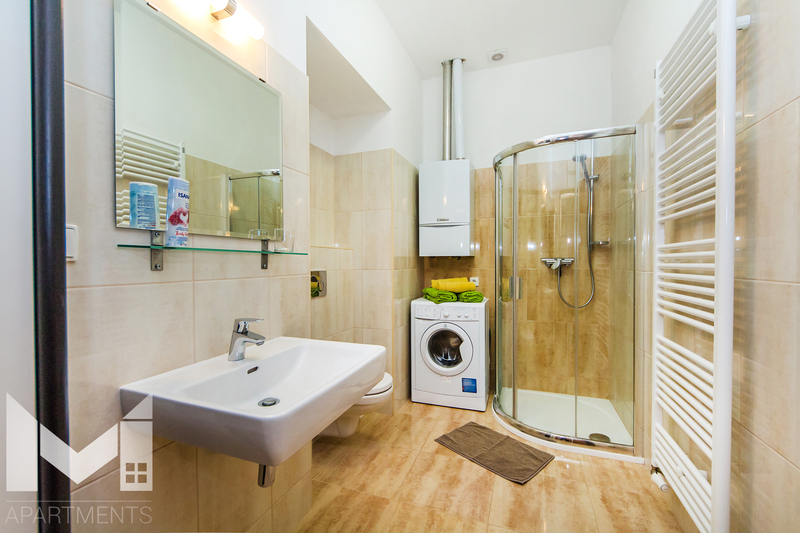 In the bathroom is shower, big mirror and washing machine. 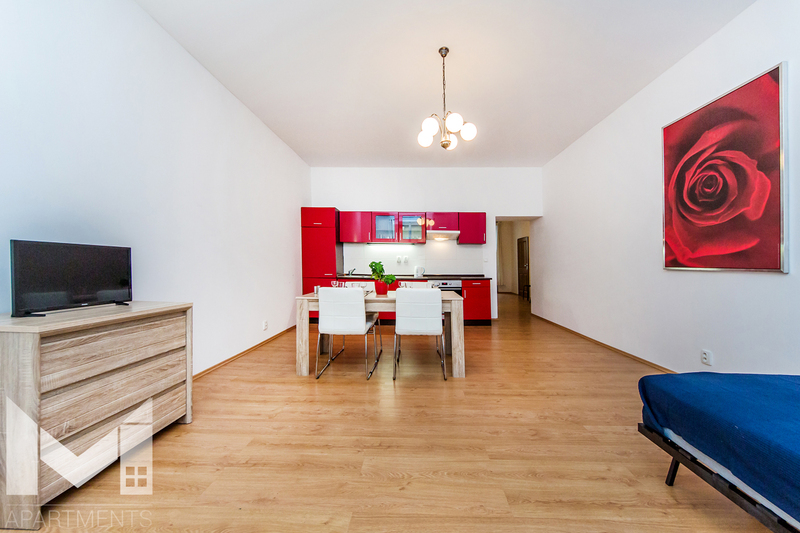 Palladium Quadrio is perfect for a people who like to be close to city center, prefers convenience and a homely atmosphere. 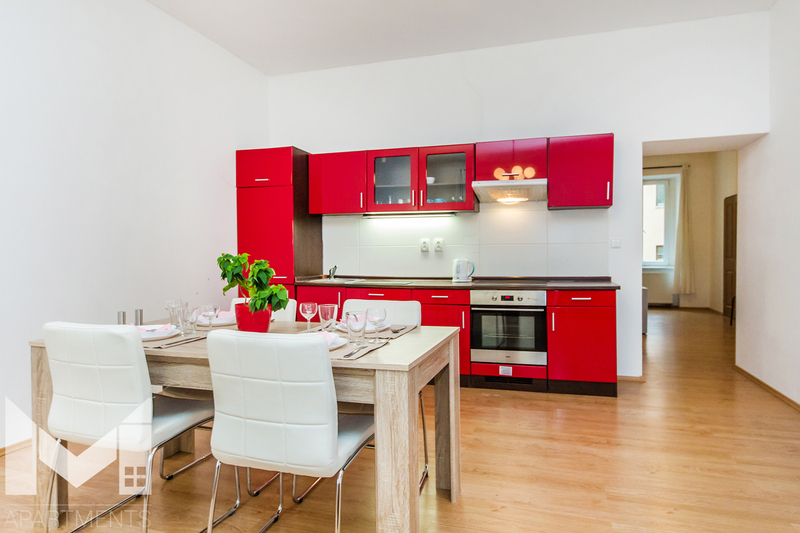 If you like smart and handy living, Palladium Quadrio is the right choice. 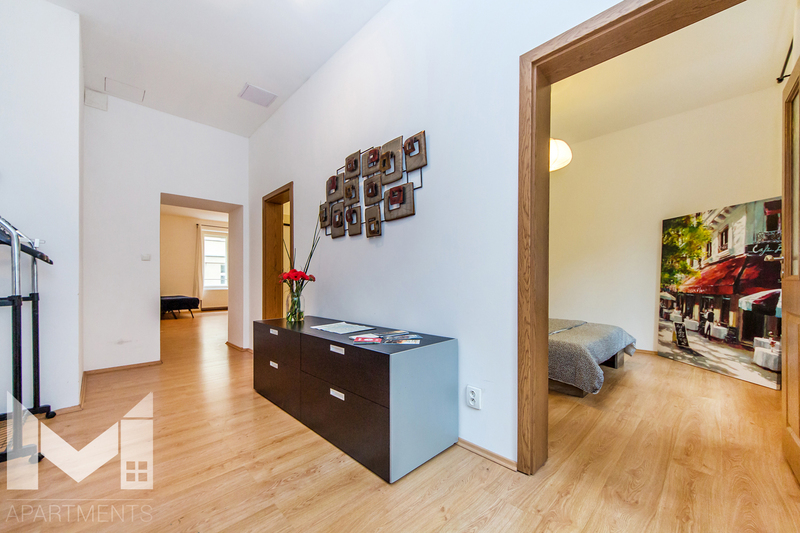 Mika's Apartments is a young, progressive team, which provides accommodation services in attractive apartments in Prague.